The comedy show that combines clever techniques and daring creativity, imagination and madness, the possible and the impossible. 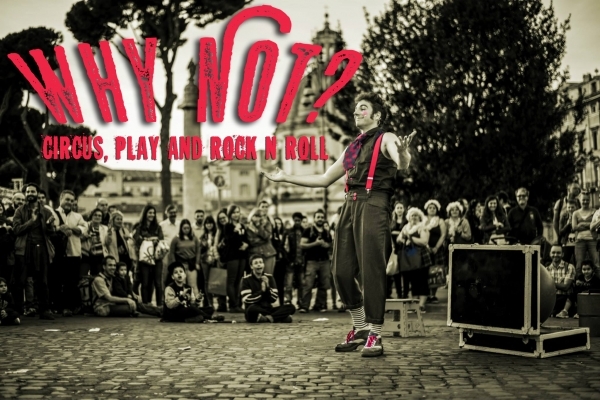 The comedy of Piero Ricciardi embraces circus techniques, eccentric juggling and acrobatics, the expressiveness of dance and mime, as well as live music. A musical background of Swing and Rock'n'Roll creates captivating rhythms, with many gags that arise from the direct involvement of the public, turning every performance into an original and unrepeatable event.